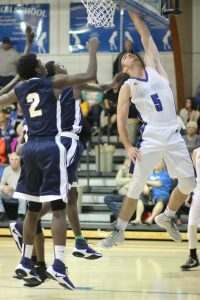 The Shirley Blue Devil senior boys (10-2, 3-0) started the first half of November playing 6 games in a brutal 8 day stretch that included conference wins over Timbo and Concord and tournament wins over Valley Springs and Marshall in the 1st Service Bank Classic. 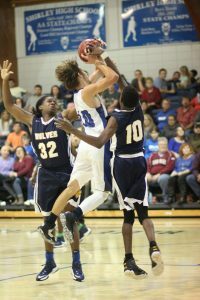 The Blue Devils also suffered their first loss of the season during homecoming against the highly rated 2A Jacksonville Lighthouse Wolves. Shirley jumped out to a 46 to 31 half time lead behind the timely scoring of seniors Joe Owen and Jed Privitt. Owen had 18 of his game high 22 points by intermission. Privitt had 13 of his game total of 19 points by half. Fatigue and foul trouble caught up the Blue Devils in the 2nd half. 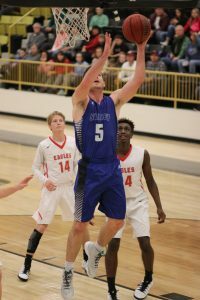 The Wolves came to life in the final two quarters out scoring Shirley 37 to 17 and pulled away with a 68 to 63 victory. 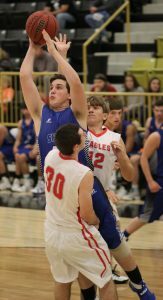 The next night Shirley played the 5A Vilonia Eagles in the finals of the 1st Service Classic. The Eagles took a 48 to 32 lead into the half and cruised to a 79 to 61 victory. Vilonia had 10 three pointers in the first half and 15 for the game. The Blue Devils were led by seniors Jed Privitt and Easton Freeman. Privitt had 21 points for the game and Freeman added 18 in the losing effort. 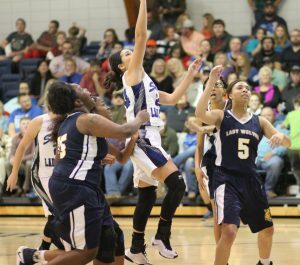 The Lady Blue Devils celebrated homecoming with a convincing win over the Jacksonville Lighthouse Lady Wolves. 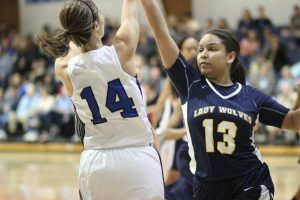 The Lady Devils led the Lady Wolves by ten at the half and pulled away in the final two quarters to post a 45 to 31 victory. Senior guard Mariana Larson led Shirley with 10 points. Seniors Katlin Gibbons and Makala Strang contributed 9 points each to the winning effort. Next up for the Blue Devils is a home non-conference game against the Wonderview Daredevils.